HomeFactsWhat is the Meaning of the Flag of Nepal? The national flag of Nepal is the world’s only non-quadrilateral national flag. The flag is a simplified combination of two pennants. The flag is of crimson red in colour – the colour of the National flower of Nepal, rhododendron. The blue border is considered the colour of peace. The current national flag was adopted, with the formation of a new constitutional government, on December 16, 1962. The flag borrows the basic design from the original design having two pennants, which has been in use for more than 2,000 years. Before 1962 the sun and the moon in the flag used to have human faces. Colours: The crimson red indicates the brave spirits of the Nepalese people. 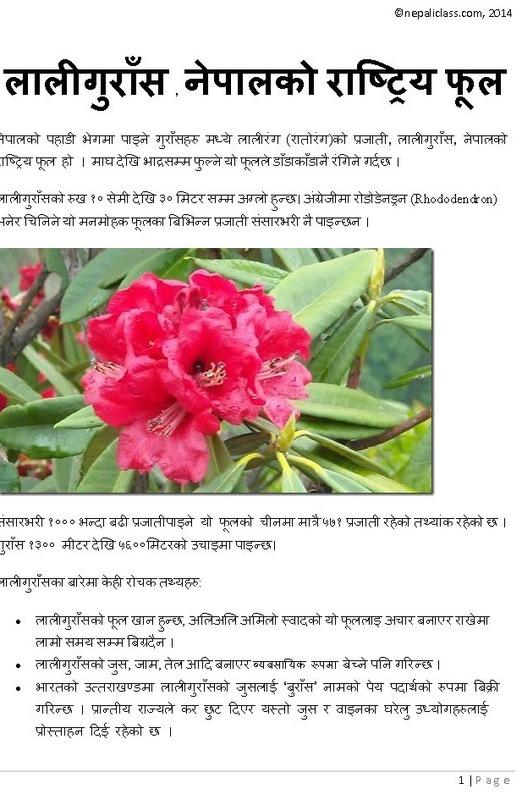 It is also the national colour and also the colour of the National flower of Nepal. The blue border symbolizes peace and harmony. The white colour in the sun and the moon are the colour of light and awakening. 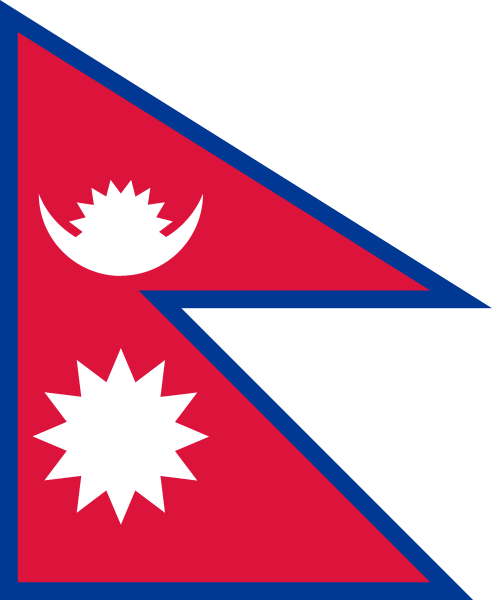 Shape: The two triangles tips in the Nepali flag symbolize the Himalaya Mountains. The Northern part of Nepal is full of high Himalayas including the top peak in the world Mt. Everest. It also symbolistically incorporates the plains (Terai) and the hilly region by overlapping the two triangles towards the centre of the flag. The flag’s shape is also symbolized as a Nepali architecture-style, popularly known as ‘Pagoda’. A pagoda shape can be obtained by placing a mirror at the hoist side. 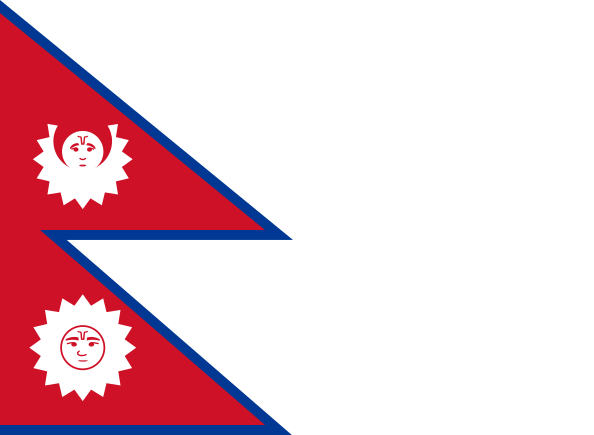 Symbols The depiction of the celestial bodies, the sun and the moon in the flag represents permanence, the hope that Nepal will last as long as the sun and the moon. While the the sun symbolizes fierce resolve, the moon symbolizes that the Nepalese are soothing and calm. The moon also believed to symbolize the shades and the cool weather towards hills and the Himalaya region, whereas the sun symbolizes heat and high temperature at Tarai plains of Nepal. How to build a Nepali flag? On the lower portion of a crimson cloth draw a line AB of the required length from left to right. From A draw a line AC perpendicular to AB making AC equal to AB plus one third AB. From AC mark off D making line AD equal to line AB. Join BD. From BD mark off E making BE equal to AB. Touching E draw a line FG, starting from the point F on line AC, parallel to AB to the right hand-side. Mark off FG equal to AB.